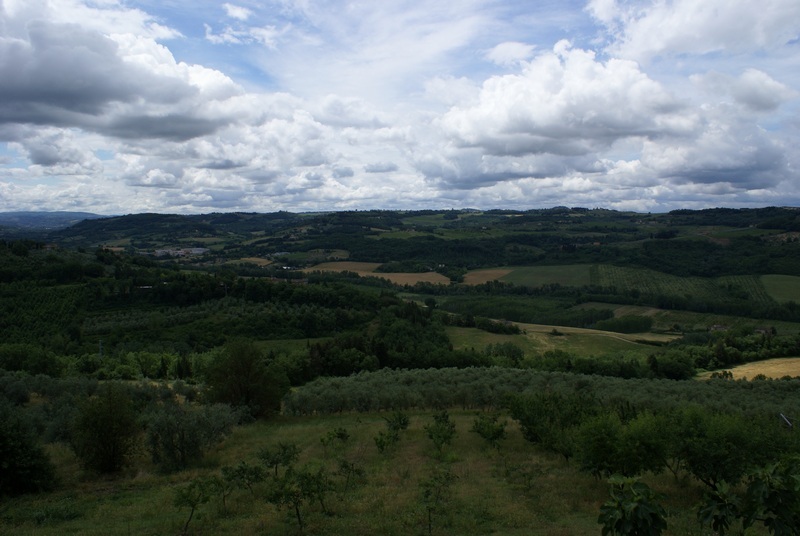 A week in Tuscany – Earthlimited | Earth Limited? Today we began our week of activities hosted by the Department of Agronomy and Land Management at the University of Florence. Thanks to my colleague, Professor Marco Bindi, and his staff (Sandra and Giacomo) for organising this week for us. 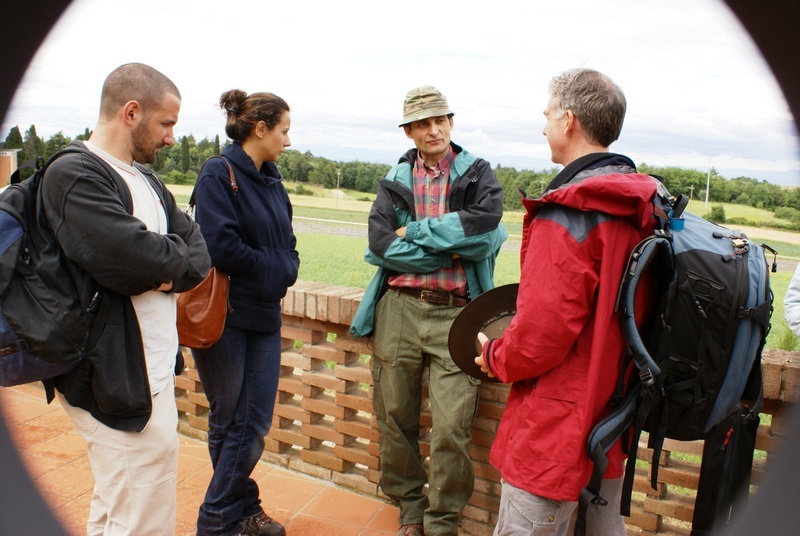 Our first stop was the University research farm, a 300ha property in the famous Chianti region of Tuscany. It’s a very beautiful place. The manager of the farm talked about some of their research activities, for example work they are doing on erosion control and water conservation through land contouring, and showed us around their facilities. I asked him about changes in climate that they are experiencing. His response was that nothing is reliable with the weather any more. Annual rainfall here is around 400mm. Historically most of this came in the winter months. Now the distribution is unpredictable. Temperatures are increasing, and rapid temperature changes are being experienced at times. Crops are being affected. For example when they pruned the grapes in the dormant winter period last winter they found that there was still sap flowing at a time when there would normally be no such activity in the plant. It is becoming very hard to manage farm activities with such changes. After lunch in the nearby village we drove to a farm called Poggio di Camporbiano where we met Piero Alberti, a biodynamic farmer. Piero has been farming this 200ha property biodynamically since 1986. The farm is organised as a cooperative community with about 14 people living and working there. Piero was the first one to be on the farm and is responsible for most of the farming activities. 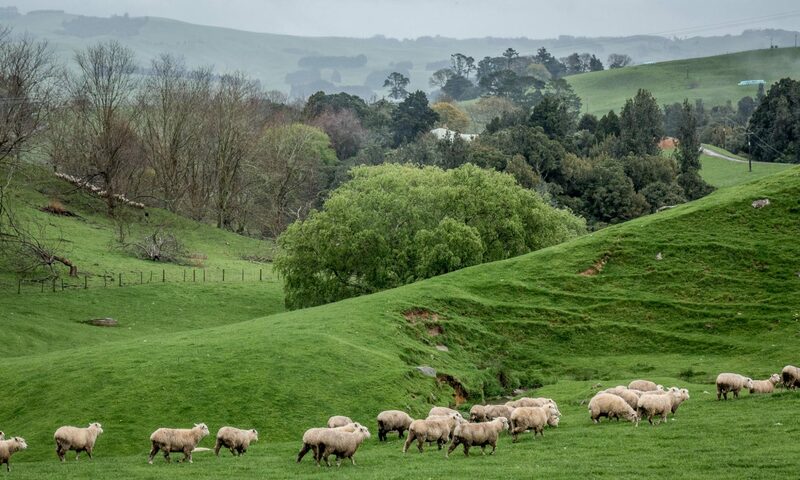 He is a very very smart farmer, one of the smartest I have met in all of our travels and even compared to some very good New Zealand farmers that I have worked with. The focus is to farm this property as a living organism, with a focus on sound ecology, a strong social environment and a very robust farm economy. To achieve this there are a diversity of production activities, processing of farm products for sale, biodynamic production techniques, recycling of farm waste back into the farm, extremely smart management of a very limited water situation, and implementation of a self-sufficient energy programme. The importance and value of this ecologically balanced approach is reflected in the ability of the farm to sustain economic viability through a severe drought period several years ago. They managed the farm through this drought without needing the external economic support that other farmers in the area needed. In relation to climate change Piero made a very profound statement, that farmers in Italy can no longer rely on the proverbs of the past. Everything has changed and is changing very rapidly. The modern farmer, in his view, needs to both be smart in using available technology and develop a greater sensibility to nature. Their success is reflected in the fact that neighbouring farmers are beginning to follow some of their practices. Our time with Piero was quite limited, but I was so impressed by this story that I arranged a return visit for the following Sunday (3 June).